Class VIII passed can apply for Peon, Cowkidar and Driver Job at Karbi Anglong District & Sessions Judge Office. This vacancy is advertised by Karbi Anglong District & Sessions Judge Office for various posts under Govt of Assam for eligible and interested candidates. If you are interested in these Grade-IV Jobs then apply on or before the last date given below on the standard application form. Please read this article till the end to know details eligibility criteria, application process and selection process for the Recruitment of Grade-IV Staffs at Karbi Anglong District & Sessions Judge Office. 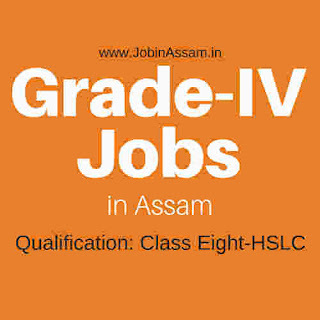 The applicants must submit their applications in the Standard Form of application published in the Assam Gazette Part- IX with self attested photocopy of all relevant documents and two recent passport size photographs. In the top of the application form there should be contact mobile or telephone number written in red ink. Completed applications along with all testimonials as mentioned above should be addressed to the following address and should be dropped in the “Drop Box” Labeled as “Drop Box for Applications” to be kept at the premise of Office of the undersigned within the stipulated date & time. Last date of receipt of application in the “Drop Box”/by post is 18.10.2017 upto 5.00 PM. Drop Box will be closed after last date and time. Official Advertisement Link: Download from here. There will be two steps selection process for the recruitment of Karbi Anglong District & Sessions Judge Office Class four staffs. Candidates, who qualify in the written test, will be called for the personal interview. A list of successful candidates will be published in the District & Sessions Judge notice Board, Karbi Anglong, Diphu. After the written test and interview they will publish a merit list. Selected candidates will receive their appointment letters by post at their respective postal address as specified by them in their application form. You should stay connected with your post office for your appointment letter.